It can happen any place, any time and to anyone. In the event you were ever hospitalized with a serious medical emergency, have you ever given any thought to what you would do? What is your health care plan? “I’ll take my chances or rely on the generosity of strangers”. Over my years of snowbirding to Mexico, I have seen this happen one too many times. Some people think that nothing will ever happen to them…it’s always “the other guy”. Then suddenly they find themselves in hospital with no medical coverage and no cash to pay either! While some are fortunate when the expat community rallies to help out their fellow expat…how would you feel if that happened to you? Or maybe you think your family will gather together and pool their money or perhaps your friends will take cash advances on their credit cards to help you out? These are all wonderful and very generous gestures, but have you ever given any thought to how you would repay them? Leaving things to chance can prove to not only be stressful for you and those around you, but it’s really not fair to put the consequence of your lack of planning onto others. And as much as we all love the Mexican culture and their loving, generous people, medical services are primarily a “for profit” business so charitable care is virtually non existent. Remember…you’re not in Kansas any more, Dorothy, so prepare! 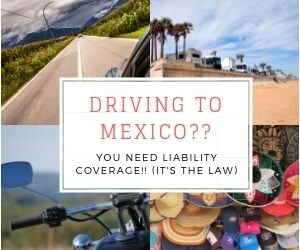 Making sure you have travel insurance or, if you are an expat living in Mexico full time, a good healthcare plan specific to Mexico, will keep you protected. “My Provincial or Medicare plan back home will pay!” And the short answer to that is NO! At least not right away. 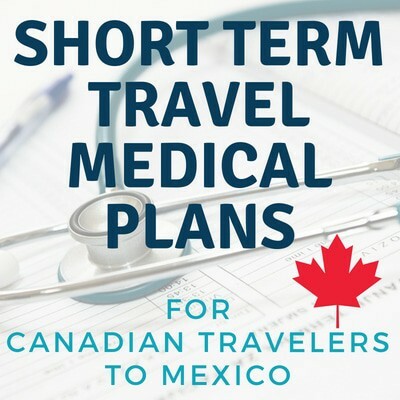 And if they do, there are things you need to know before you rely on that for your “travel medical plan”. Most PROVINCIAL coverage will only reimburse you to their maximum daily hospital rate (in B.C. it is $75/day). Keep in mind that you have to have paid the hospital bills BEFORE you can be reimbursed. And this reimbursement process can take a very long time. Or perhaps you think they will simply bring you back to Canada to access your plan at home? Nope, wrong again, they won’t…no air ambulance! Heck…they won’t even pay for that service inter-provincially, let alone internationally. 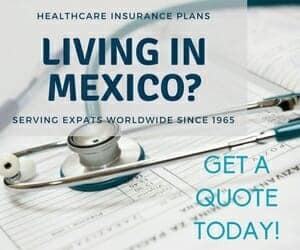 As for MEDICARE, well, yes, kinda…they may pay for a medical emergency outside the USA, BUT ONLY if you have a MEDIGAP plan and ONLY if it’s within the first 60 days you are away from home AND ONLY to a LIFETIME MAXIMUM payout of $50,000. A lot of “only if’s”! And they also work on a reimbursement basis. “My credit card coverage is sufficient”. This is a perk that is often promoted as a major benefit when purchasing your airline ticket. But be aware that this coverage is limited as to the number of days they will protect you. Most of the major credit cards have a maximum of anywhere from 15 days to 60 days. And if you are over age 65, then it is limited even more…down to just 4 days in some cases or not even available at all in others. I will say though, that credit card coverage does have good protection for all your flight/trip related issues such as lost luggage, delays, interruptions, cancellations as well as car rentals. But, check the fine print! “I have a employee group plan that includes some travel health care”. Well that’s awesome! At least you have something, and that’s better than most. But I encourage you to READ THE FINE PRINT. Get that booklet out of the bottom of the junk drawer and read the part about travel coverage. And not just that, make sure you understand what you have and how it works. Call your employer’s group plan administrator. Ask them things like… how do you make a claim; does your provider deal directly with the hospital; do they have Spanish speaking staff; do you need to call the insurer BEFORE you seek help (Yes, this is a real requirement on a lot of plans! ); does the paperwork being submitted have to be translated to English first; and so on. Some limits of a typical group plan often include 1) a restriction on the amount of days you can be away from your home province or state; 2) pre-existing conditions may not be covered if you are over age 65. “I already have air ambulance benefits in my plan/group health care insurance!” You may very well have some type of medical evacuation benefit or perhaps you’ve enrolled in an air ambulance membership plan. But in order to know exactly WHAT they will do for you WHEN the time comes, you’ll need to understand the wordings in the terms and conditions. Not all benefits are created equally. In some, they will simply transport you to the nearest hospital (which you may already be in); others will take you home if it’s deemed “medically necessary” and the hospital you’re in cannot help you; and yet others have been known to simply drop you to the nearest hospital across the border in your home country. Most air ambulance membership plans have to bid out the transport (often to the lowest bidder) when it’s time to transport you. This could cause delays. There is only one company on the market today that deals directly with a highly rated air ambulance service and doesn’t have to bid out the flight. Let’s face it, all travel protection related businesses (in fact, ALL businesses) are in operation to MAKE money. Last time I heard, they were not non-profit organizations. So exactly how do they do make that money? Basically, it works like it does in Las Vegas…it’s a crap shoot. They collect relatively small amounts of money on a regular basis while they run the risk of having to make an occasional big payout. The strategy is that over time they will have collected MORE than they ever pay out, hence, a profit! But to you, as the consumer, the question then becomes…”Aha, yes, but will they deliver my service (or pay my claim) when it comes time to do so?” And the answer to that comes down to the reputation of the company, their experience history and understanding the fine print. But you too need to take some responsibility for learning about your options before making your final decision. When going through the application process, make sure you disclose all your health history and…at the very least, get an air ambulance membership plan while you’re relatively healthy!! Many of these plans only require medical information when you first apply for membership and then, as long as you keep renewing, will cover you for life without having to ever prequalify medically again. I know it’s not easy to maneuver through the maze of choices but, hopefully I have provided you with some guidelines that will help. The best advice I can give is to find someone you trust and feel confident in to guide you along the way…and a reputable independent broker can do that for you! NEXT WEEK: Everything you ever wanted to know about Travel & Health plans for Snowbirds*…*but were afraid to ask.